Your Favorites! Crochet Villages, Crochet Coasters & Treats and Gifts! 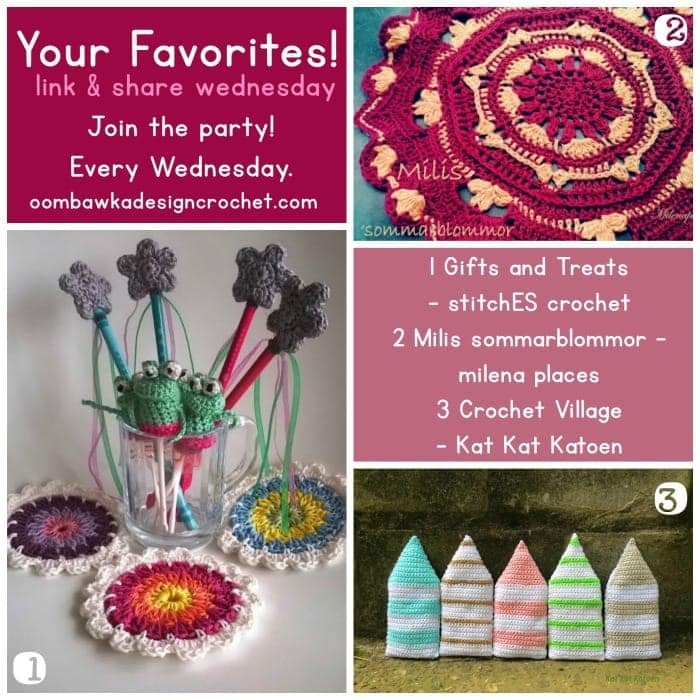 Pin10Share34Tweet145 Shares This week your favorites were all about Crochet – with crochet coasters, crochet villages and crochet treats and gifts – there are projects for everyone to try! I especially love the free pattern for the cute crochet frog finger puppets! Add your projects this week and be sure to pin your favorites too! To see all of … Continue reading Your Favorites! Crochet Villages, Crochet Coasters & Treats and Gifts!